This year there are three events for people to take part in, with the idea that they can improve during the summer weeks. Starting with the Mixed Fours, a relaxed competition for all abilities to get people onto the sand and playing. The Mens and Ladies Threes is a new format making it easier to find a team but harder to defend on court. 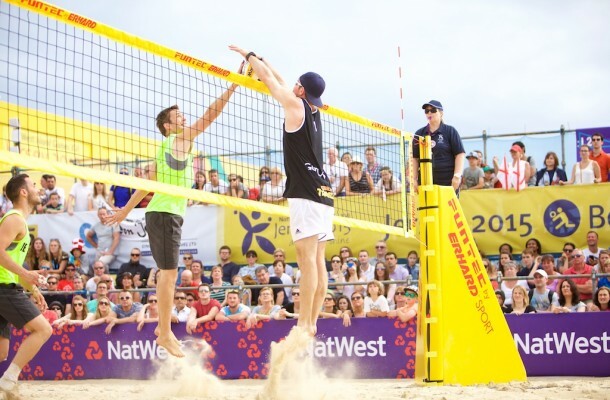 Then the Pairs event where players will hopefully have improved to compete at the purest but most difficult form of beach volleyball. Please give us a try and come down to training on Wednesdays or Sundays. 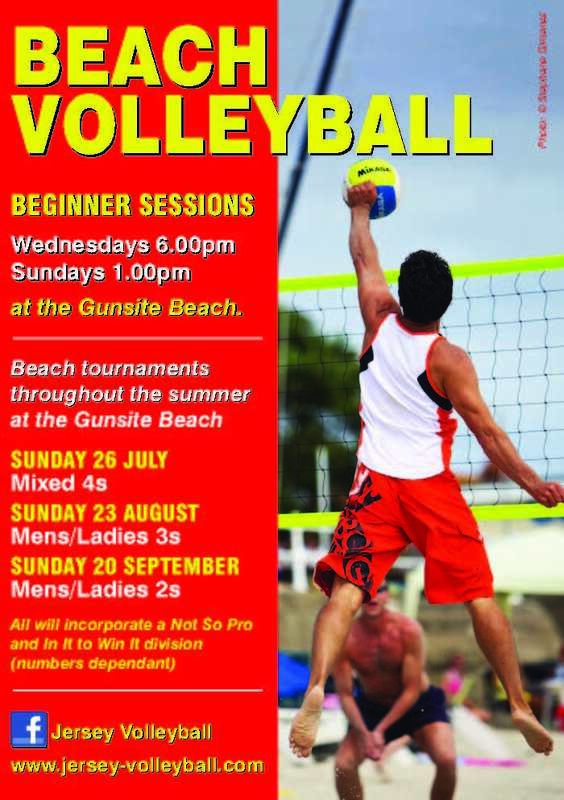 We play at the Gunsite Beach and welcome any players. You too can play just like in the NatWest Island Games!! Please download the Entry Form for further information or to enter a team. Have fun and happy beach volleyball from the JVA! !